We are often asked how much 9ct gold is worth is worth per gram. 9ct gold is an alloy (mix) of metals, comprising of 37.5% gold and a combination of other metals, commonly copper, silver and zinc. The proportions of other metals used is dependent on the colour required. For example, 9ct red gold will contain a high proportion of copper, whereas white gold will contain little or no copper. Gold-Traders is currently paying £ for 9ct gold. You can use our scrap gold calculator on the right of this page to calculate what your gold is worth. All our prices are guaranteed and we offer exceptionally fast turnaround on all packages received. If you elect to have payment made into your bank account (BACS) and you have an account with any of the main high-street banks, the funds will be available to you usually within an hour of us completing the transaction, on the day we receive your items. Yes, it really is that quick! 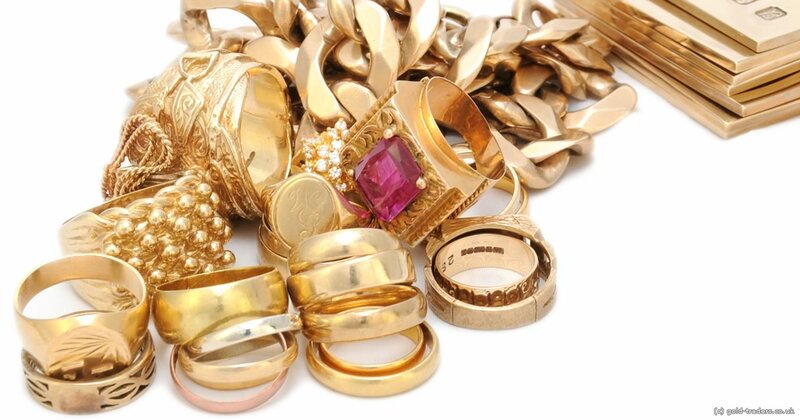 See a full breakdown of our scrap gold prices here. Is a gold chain with the markings ITALY 925 on worth anything? Hello, your chain is sterling silver. If it’s gold in colour, I’m afraid it’s only gold plated. Hi how much is 20 grams off 9ct gold worth? Clear hall markings? Been tested before. If i go into shop? We pay the same high rate for hallmarked and un-hallmarked gold. Currently, £. Hello..I have a necklace marked 9kt Italy…how much is it worth? That depends on how heavy it is! JB is the maker’s mark. 375 refers to the purity, which is 9ct gold. Take the up-to-date figure we quote in the article above & multiply it by 8. I have a chain on 1 side it is stamped 375 and on the other it says Italy i have my doubts that it is 9ct and does it make any difference with Italy stamped on it ? Jewellery bought from Italy won’t carry the same hallmarks as a piece bought in the UK (even if it was originally made in Italy). It probably is 9ct gold, but you’re going to have to have it tested to confirm this.